From iconic natural landscapes like California’s Yosemite National Park to defining historic sites like Pennsylvania’s Independence Hall, national parks showcase our most significant cultural, historic, scenic, and scientific resources. Since 1916 the National Park Service (NPS) has been responsible for stewarding spectacular places that represent our shared American identity. However, after decades of inconsistent federal and public funding, the NPS now faces a maintenance backlog of approximately $11.6 billion—of which roughly 47 percent is attributed to historic assets. Deferred maintenance in our national parks puts historic and cultural sites at risk of permanent damage or loss; in the absence of funding, these assets will continue to deteriorate and become more expensive to repair and preserve in the future. One solution for tackling the maintenance backlog and protecting historic assets would be expanding the use of leasing within the parks and leveraging private funds to preserve historic buildings for future generations. Under a lease agreement, the park maintains ownership of the building, but the lessee is responsible for its rehabilitation and maintenance for the length of the lease. In long-term commercial leases of 55 years or more, the lessee may apply for the federal historic tax credit (HTC) and receive a 20 percent credit for qualified rehabilitation expenses—an attractive incentive for private investors. Historic leasing partnerships reduce maintenance costs and allow parks to reallocate limited resources to other priority projects. Lessees also provide services for visitors and nearby residents and bring iconic historic buildings back to life. The National Trust has long advocated for the expanded use of historic leasing by the NPS. In 2013 the Trust published a report that outlines the legal and policy issues surrounding leasing, offers recommendations, and provides examples of successful leases. We have since continued our advocacy, providing congressional testimony that addresses the maintenance backlog and highlights the benefits of historic leasing. Thanks in part to our work to elevate this issue for public discussion, the National Trust was invited to testify in September 2018 at a congressional field hearing in Hot Springs, Arkansas. Tom Cassidy, vice president of Government Relations, testified that historic leasing is an effective and proven public-private partnership that can abate the deferred maintenance backlog in our national parks. A tour of Bathhouse Row, an iconic section of Hot Springs National Park that boasts several successful leasing projects, followed the hearing. There are numerous opportunities for historic leasing agreements throughout the National Park System. Continued education and advocacy will encourage the NPS to use this innovative tool where appropriate to better steward and preserve irreplaceable historic resources. The National Trust has developed several case studies that celebrate the success stories and highlight opportunities: Hot Springs National Park, Valley Forge National Historical Park, Golden Gate National Recreation Area, and Gateway National Recreation Area. Hot Springs served as a popular resort town until public interest in therapeutic baths declined with the advent of mass-produced penicillin. Several of the iconic bathhouses were already abandoned when a federal investment allowed Hot Springs National Park to stabilize and rehabilitate six structures. Once “tenant-ready,” the bathhouses became enticing to potential lessees, and today only one remains to be leased. Quapaw Bathhouse: One of the largest bathhouses, the Quapaw had been vacant for three decades when Taylor Kempkes Architects signed a 55-year lease with the park. Leveraging the HTC, the firm reopened the Quapaw as a luxury spa center in 2008. A decade later Quapaw Baths and Spa remains a popular attraction, providing a modern bathhouse experience for visitors and residents. Superior Bathhouse: An aspiring beer-maker approached the park about opening a brewery using the thermal spring water. To turn the Superior Bathhouse into a brewery and pub, the lessee stabilized floors to accommodate tons of equipment, upgraded electric conduits for pumps, and installed food facilities. 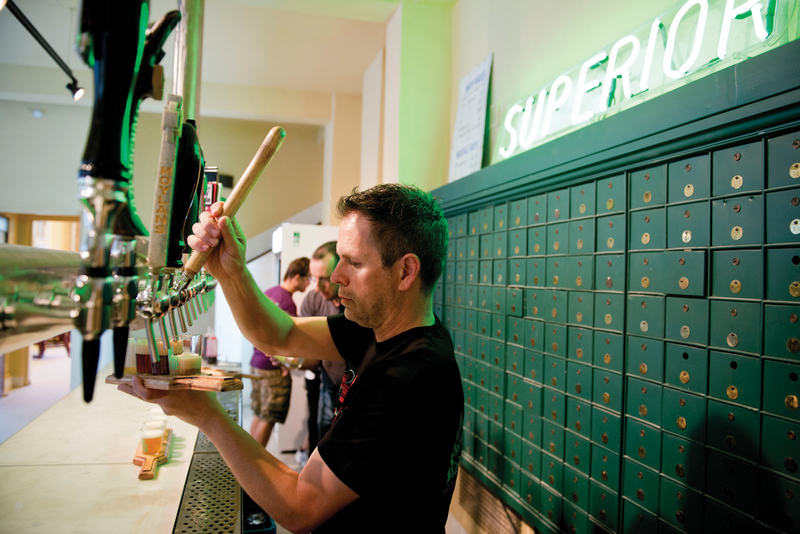 The first phrase was completed in about a year, and the unique and popular Superior Bathhouse Brewery opened to the public in 2014. Upon signing these leases, the park immediately saw reductions in utilities and maintenance costs. The lessees pay rent and are required to keep a restricted reserve fund for non-reoccurring maintenance projects. The park works closely with its lessees to ensure that the historic integrity of the structures is preserved while accommodating necessary and appropriate changes to make the businesses economically viable. Historic leasing was an important tool for tackling the deferred maintenance backlog at the park, generating revenue for both the park and the city, and preserving iconic Bathhouse Row. Valley Forge National Historical Park interprets the site where the Continental Army camped from December 1777 to June 1778. Increased visitation coupled with insufficient and inconsistent funding motivated the park to explore leasing opportunities. A multiyear plan enables NPS to identify long- and short-term leases that will provide additional revenue, capital improvements, and maintenance savings. 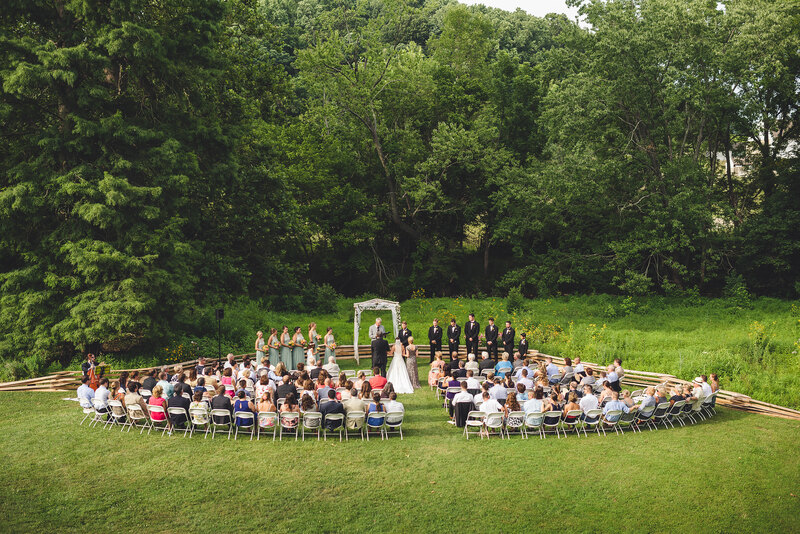 Philander Chase Knox Estate: After expressing interest in using the Philander Chase Knox Estate for events, Robert Ryan Catering and The Party Center (together Valley Forge Park Events LLC) signed a 10-year lease with the park. Their renovations brought the mansion into compliance with Americans with Disabilities Act standards and created a semipermanent platform for a tent, a cocktail area, and a commissary kitchen. The estate has re-opened as an extremely popular venue where guests enjoy scenic views that inspire them to return to the park. The Montessori Children’s House: Looking for a new home, the Montessori Children’s House turned to the park. After completing surveys, getting NPS approval on architectural plans, and running a capital campaign, the school signed a 40-year lease. Throughout the repair work, the school preserved the historic integrity of key structures and maintained the basic footprint of the site. Now the Montessori Children’s House of Valley Forge maintains a beautiful property in a historic setting with access to park rangers for educational programming. Each lease at Valley Forge is crafted to cater to the needs of the park as well as the lessee, and the park sees reductions in maintenance and utility costs in all cases. The park also benefits from additional revenue in the form of annual rent, mortgage payments, and a percentage of event fees. The park channels these financial gains to other priority projects, improving the visitor experience and protecting the Revolutionary War site for future generations. While there is always a delicate balance between preserving the historic integrity, complying with modern regulations, and adapting a space for new purposes, historic leasing is a proven way to put underused or vacant buildings back into use. The NPS has the authority to enter into historic leases, but few of the 417 park units have actively engaged with the leasing program—both because of a lack of commercial real estate and leasing experience within the NPS and also because initial investments and subsequent approval processes can be daunting to lessees. But ultimately leasing arrangements can be rewarding and beneficial for both parks and lessees. 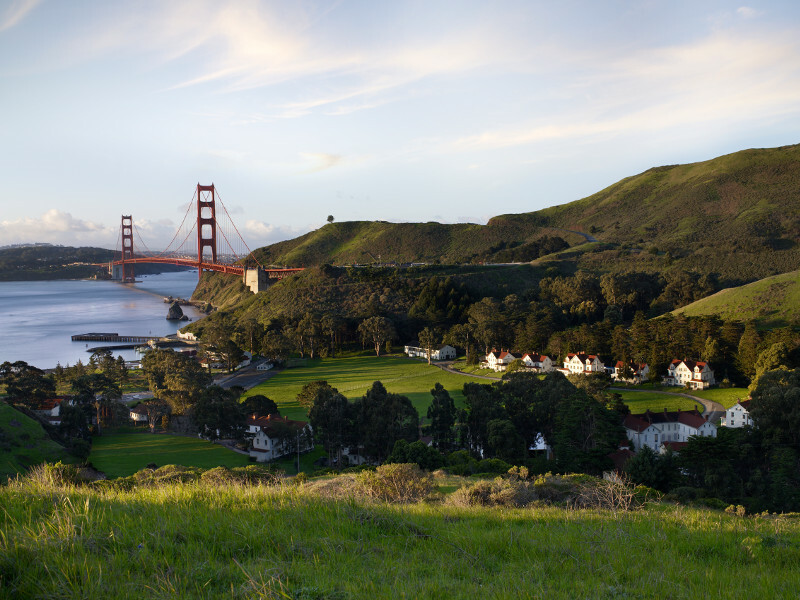 These partnerships reduce costs for the park service, create opportunities for private investors, bring historic buildings back to life, and provide more services for park visitors and residents of adjacent communities. The deferred maintenance backlog cannot be fixed solely through federal funding. Creative solutions like historic leasing are an important tool for protecting our irreplaceable cultural and historic resources. Christine Luthy is the associate manager of Government Relations at the National Trust for Historic Preservation.